You can appear professional and inviting to all your potential customers with a distinctive, authoritative website that is user-friendly and up to high industry standards. Your landing page might look clever, but are viewers continuing on to read your message and take action? No clicks means no business. There is a great deal of competition in the Coral Springs area for dentists, doctors, lawyers, restaurants, and many other service providers. In this area quality service is king. You need a company that knows the lay of the land and how to bring the best web design in Coral Springs to the table. We are a seasoned, full service website design firm, specializing in custom website design, hosting, and website marketing. We have been located in Coral Springs and have served the business community since 1998. We understand the importance of being recognized as a mover and shaker on the top of the search engines’ list. Our objective is to provide businesses with exceptional one-on-one service. Whether you have ideas on how you want your website to look or need a turn-key product, we keep the lines of communication open every step of the way. If you want to make enhancements to your current site, we can do that too. The end result will be a unique, professional, and effective website, all at an affordable price. Do you have dreams of selling your product online? It's not quite as easy as it might seem. Luckily, when we provide you with full-service web design for an existing or start-up e-Commerce business, you greatly increase your chances of success. You will be able to accept credit and debit cards with means that are CPI compliant. We can integrate a shopping cart or other payment system onto your site. You'll have full control over adding, editing, and deleting products, pictures, product descriptions, and prices. Our team of programmers will design and implement a cart that will make online shopping on your website an easy and safe experience for your customers. Your website will be effective, functional, and easy for your customers and employees to navigate. Once you have your ideal website, you want potential customers to find it easily. We offer Search Engine Marketing services to help you get the maximum exposure. Our SEO (Search Engine Optimization) specialists will ensure that traffic is driven to your website by achieving higher rankings on the major search engines. Our services include website optimization, directory submissions, link building (utilizing a variety of methods), local search engine submissions, and pay-per-click campaigns. We'll customize a successful online marketing campaign and improve your site's relevance, which will significantly increase the quality and volume of visitors to your site. That means higher sales for you - and sales is what a good web design is all about. 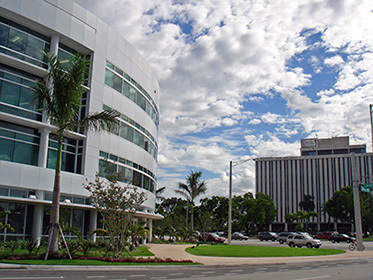 Our office is based in Coral Springs, a suburb of Ft. Lauderdale, Florida, and is comprised of a talented team specializing in web design and marketing. We'll create or transform your site to reflect your company's specific needs and style. Contact Us for a Free Quote!